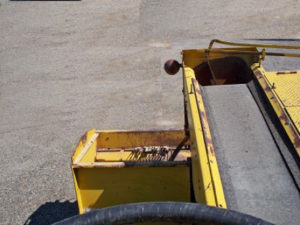 The Model W offers a 4 cubic yard receiving hopper and two 20" conveyor belts to carry aggregate to the front hopper. This unit is used but has many years of service left. Repair parts are all available through GEFFS MFG. 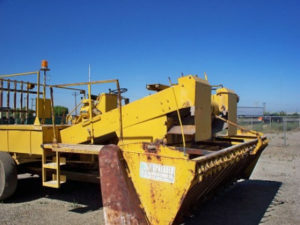 This hopper has been manufactured for many years and is reliable for aggregate distribution. 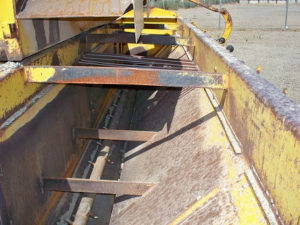 Conveyors are 20" and supply materials from the rear hopper to the front distribution hoppers. 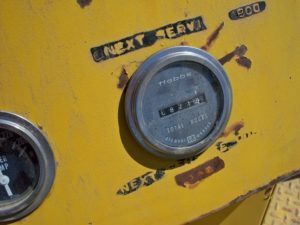 From idle to max rpm this unit will give the operator many hours of service. Machine has low hours and is ready to operate.